Sales commission programs are possibly the most variable programs conducted by a firm. These programs tend to vary significantly from industry to industry,and many times within companies in an industry. Sales commission programs tend to be different by employees even within a single firm.Because of the highly variable nature of commission calculations, solutions attempting to solve the problem have to be highly sophisticated. At the same time, they should not burden the user with additional complexity in their operations. One key area of complexity is allowing data interchange between the customer's existing accounting systems and the commissions system. A commission system that can understand the structure of the accounting system data and seamlessly bring in the appropriate data necessary for calculating commissions can be a huge benefit in reducing the inherent complexity in that process. QCommission is a powerful, flexible sales commission software tool.It calculates sales people's compensation accurately, quickly and professionally. 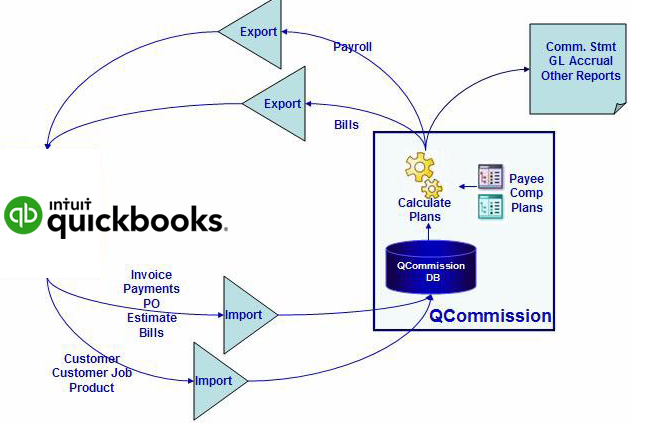 QCommission is integrated with QuickBooks® but can also be operated stand- alone. QuickBooks® - QuickBooks® is the most popular accounting software used by small and mid-sized businesses in the world today. 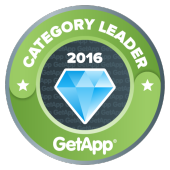 There are more than 4 million QuickBooks® customers. QuickBooks® is available in many countries and configured for many industries.QCommission has been tested and certified by Intuit®'s vetting process . In addition QCommission customers have been surveyed for customer satisfaction levels by the certification team. QCommission is designed to support QuickBooks comprehensively. QCommission supports editions such as QuickBooks Pro, QuickBooks Premier, QuickBooks Accountant, QuickBooks Enterprise and QuickBooks Online. QCommission supports multiple country editions of QuickBooks including Canada and UK. QCommission supports all versions of Quickbooks starting from version 2002 up to the latest version this year. Intuit® supplies the QuickBooks® SDK (Software Development Kit) to allow third party products to work with QuickBooks®. The SDK makes sure that the integration works well with the various versions and models of QuickBooks®. The SDK also ensures that the third party product is properly authenticated prior to getting access to the QuickBooks® data. QCommission has partnered with Intuit® to use the SDK to access QuickBooks® data. All access to QuickBooks® data is through the SDK. CellarStone provides QXchange, a sophisticated integration tool to map QuickBooks® data to QCommission. Commissions are primarily calculated on Revenue. Revenues are mostly based on invoices entered into the accounting system. The various attributes of invoices can be used in the calculation of commissions. In many situations, sales reps are directly associated with invoices. This can be used in properly crediting the invoice to the sales rep prior to calculating commissions. Other data attributes useful in commission calculations include Quantity, Amount, Customer, Product, etc. A key requirement is the ability to only import transactions for the particular commission period that is being currently processed. The QCommission system automatically understands the date range being processed and only brings in the transactions necessary for proper calculations. Invoices normally go through two states: Invoiced and Paid. Some customers pay commissions on invoiced and some when invoices are paid. Some pay on both events. QCommission can understand the status of the invoices and bring in only the invoices of the right status to process. If invoices change status in QuickBooks® later, it can update the status in QCommission and properly calculate and pay the right commission. Occasionally commissions are paid out on partially paid invoices as revenue is collected. In this case, it is not enough to just check the paid stamp on the invoice. The payment history transactions will also have to be imported and commissions released as payment is received. In this case both sets of transactions will have to be handled. Credit memos are sometimes used to affect revenue collections. When credit memos are entered and applied to invoices in QuickBooks®, Qcommission can import them and use it to charge back commissions appropriately. Other transactional data that can be imported include Sales Orders, Purchase Orders, Estimates and Payments. QCommission can import these transactions and use them in calculations as well. In addition to transactional data, QCommission can import master data from QuickBooks® such as Customer, Customer Job, Item, Vendor, etc. The data imported can include the hierarchy structure. This becomes very useful in calculating commissions based on these various criteria. Sales reps are normally people on the payroll of the company. Many companies use the payroll functionality available within QuickBooks® to issue the paychecks. In addition to base pay, sales commission payments will need to be processed and provided as paychecks to the employees. QCommission can update the payroll information for a specific employee. Sales commission payout information can then be processed as part of the paycheck. Many times commissions are paid to workers that are not employees of the company. In these cases, commissions are paid out normally as accounts payable checks. QCommission has the ability to take the commission payout information and directly update the bills to be paid within QuickBooks®. QuickBooks® stores all the financial data for the company including all the revenue. But not all revenue is eligible for commissions. Only the relevant transactions should be used in commission calculations. Incidental transactions such as "Shipping Charges" are typically not eligible for commissions. While importing data from QuickBooks®, transactions with these item codes can be excluded from being imported. Some product and service lines may also need to be excluded from commission calculations. For example, sample items being provided as part of sales may not be commissionable. These can be excluded during imports. Commission calculations can also be set to only calculate for certain item groups, even if all data are imported. Some customer sales may not be considered for commissions. These may be in-house accounts, for example. Commission plans can be set to calculate commissions for only specific customers and customer groups. In many commission calculations, a sale has to be credited to more than one rep. It is normally split between two reps, but could go up to 5-way or higher splits. This could be because two sales reps work in a particular territory or if an item is sold in one territory and shipped to a different territory. In addition, the splits could be equal or unequal such as 60/40. 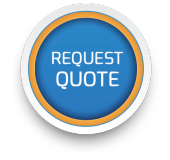 QuickBooks® provides the ability to specify only a single rep per invoice. This tends to be a significant limitation for calculations. With QCommission you can specify any number of splits. The splits can also have an associated split percentage to handle unequal splits. Split percentages can add up to more than 100% if necessary. Splits can be associated by invoice or invoice lines. Splits can also apply to transactions other than invoices such as expenses. Splits can be associated with customers, products or policies and be used against all associated transactions. As part of our consulting we will advice on how to configure reps and split percents in QuickBooks® directly, if necessary, or in QCommission. Many companies calculate commissions based on profit rather than revenue. If products and services are bought and resold, this type of commission makes a lot of sense. Profit commission provides more control over the deal size, where sales people are allowed to discount the sale price. Cost can be a fixed average number. For example, consulting companies may decide on an average hourly cost for all their consultants being in different places. Cost can be a specific number per product or service. Manufacturing firms may calculate a specific cost per product and assign it to the product, since it may be difficult to know the exact cost of manufacturing. Cost can be an average cost from purchasing. As products are acquired for resale, the incoming cost may vary. An average cost can be used for calculation of profits. Cost can be a specific cost from purchasing. Resellers many times acquire products for a specific sale, in which case the exact cost is known from the purchase order or from bills paid. Cost can be cumulative for a project or job. In many cases, cost is really a cost of the whole project rather than for a single invoice or line. QuickBooks® does not provide a good method of determining detailed profitability. The Job Profitability report is overly broad and includes items that for a commission purpose should not be treated as costs. Profitability is also not determinable by a sales rep in QuickBooks®. In QuickBooks®, there is no inherent connection between an invoice (revenue) and cost (purchase order or bill) other than through a customer job, and that is too broad. QCommission can overcome the limitations of QuickBooks® and calculate commissions based on profit. QCommission has sophisticated importing and calculation logic necessary to calculate profit. A specific invoice can be set up to connect to one or more purchase orders, so a good match can be easily found. When matching an invoice and a purchase order, a line level match can be made using item code and quantity. Invoice can be matched to purchase orders or bills using customer or customer job. Revenue and costs can be cumulated for a customer job across multiple periods and profit calculated continuously. 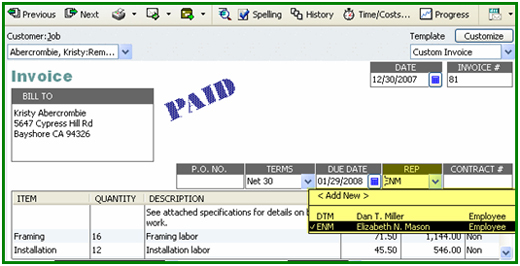 Cost can be used directly from the item record, or after other methods of finding cost have been exhausted. With the sophisticated ability to calculate profit, QCommission can handle almost any kind of profit based commissions. Companies allow their sales people to discount prices on occasion. To make sure that there is not excessive discounting and margins are maintained, they may use the commission plan. Based on how much the product is discounted from the list price, the commission rate may be reduced. This can be done as discount tiers: 0% to 10% discount, 11% to 20% discount, etc. To calculate discounts we need to get Product list price, price on the invoice and unit cost from QuickBooks®. Then the discount rate has to be calculated and compared to the various tiers to determine commission rates. QCommission can handle these types of calculations. Sometimes commission rates can change based on AR Aging. If the number of days it takes to get paid for an invoice increases, commission rates could be reduced. QCommission can understand these differences and pay at different rates. QCommission does a tremendous job understanding the intricacies of the QuickBooks® data structure as well as the complications inherent in the commission process. With this ability, it integrates the two systems in such a manner that the complexity to the customer is reduced to a minimal level. Because of the complexities and the number of different ways customers can use QuickBooks®, our expert services are utilized to configure the exact integration process between QCommission and QuickBooks® for the best solution. The QCommission team did an excellent job at handling our needs for a new sales commissions program. They took the time to review our initial needs for the program and then worked with us until we resolved all the "if this, then that" issues we were working with. The program uploads to QuickBooks and automatically does the calculations. You are then able to do adjustments, if necessary, and export very professional reports and e-mail them. We are extremely pleased with the QCommission team and highly recommend them“. Cheryl Brooks., Lake Doctors, Inc.